Now, thegamecheatspop, Minecraft Survival isn't out yet. It will be on March 10, 2013. WELL WE'RE HAVING A PARTY. We have a timer in the "Home" page and the "Minecraft Survival" page. The Person of the Week will have a talk about how thegamecheatspop will work from now. It will be in the "Hall of Fame". 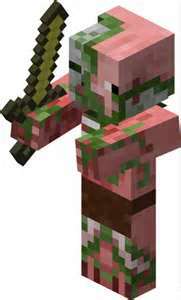 A Zombie Pigmen... RUN!!! Are you the Person of the Week? It is finnaly here... Night Watch is out!! Demo is for non-members and full for members. Full will be coming for non-members at March 14, 2013. Yaaaaaaaayyyyyyyy!!! Thegamecheatspop is now in Facebook!!!! Updates and new pages will be noticed in the Facebook Page. Like and it will make my day the best!!! Like and comment if you're exicted!!!!!!!!!! Thegamecheatspop is a website for cheats on games. Poptropica is the only cheats so far. Minecraft will be coming soon.